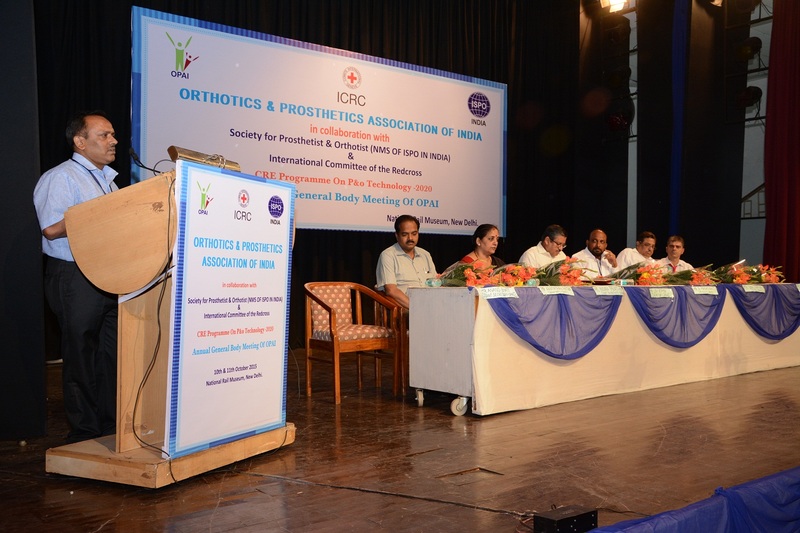 To achieve the aims and objects laid down in the Memorandum of Association of the orthotics and Prosthetics Association of India (hereinafter referred to as the (OPAI) the following Rules and Regulations are made. 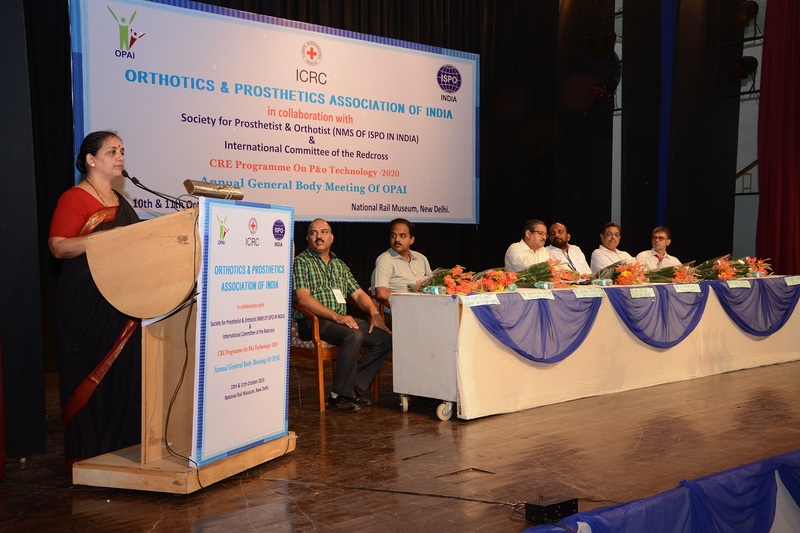 1.1 These Rules may be called the Rules of the Orthotics and Prosthetics Association of India. 2.1 In these Rules and Regulations, unless otherwise specifically indicated, the terms given below will have the meanings indicated against them. 2.1.2 “Council” means The Executive Council of the Association. 2.1.3 “President” means the President of the Association. 2.1.4 “Vice Presedent” means the Vice President of the Association. 2.1.5 “Secretary” means the Secretary of the Association. 2.1.6 “Rules” means the Rules and Regulations made to regulate the functions of the Association. 2.1.7 “General Body” means the General Body of the Association made up by the members of the Association. 3.1 The Registered office of the Association shall be located at Kanpur, Uttar Pradesh, India. 4.1 The Association will have Members of four kinds. 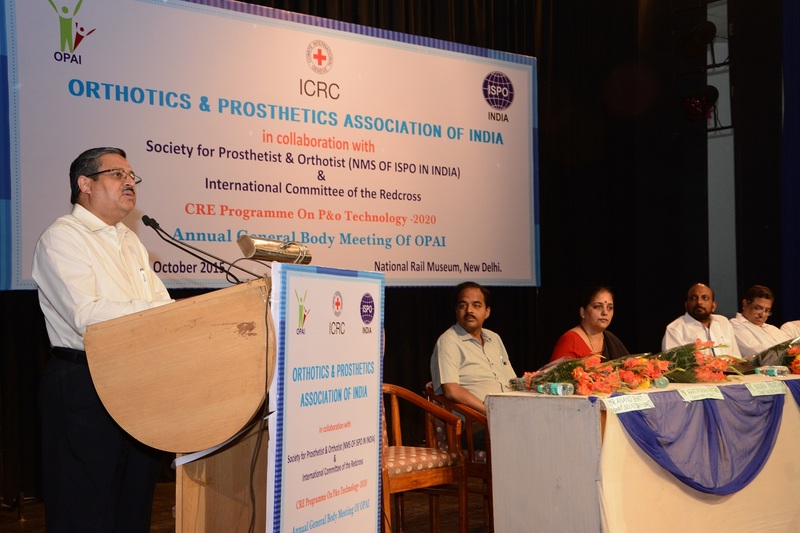 4.1.1 MEMBERS: Persons actively engaged in Prosthetic and Orthotic Rehabilitation including Research, Education, Clinical Practice and other significant aspects and he (or) she should be a qualified diploma (or) degree (or) post graduate in prosthetics & orthotics only will be eligible to become “Members”. 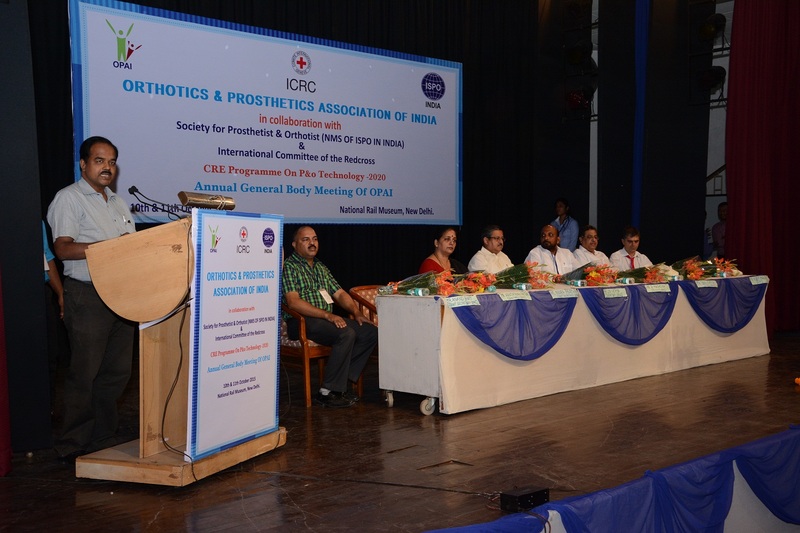 4.1.2 ASSOCIATE MEMBERS: All individuals who do not have diploma or degree or post graduation in Prosthetics & Orthotics even they are a life member in Orthotics & Prosthetics Society of India (OPSI) will be treated as associate members. 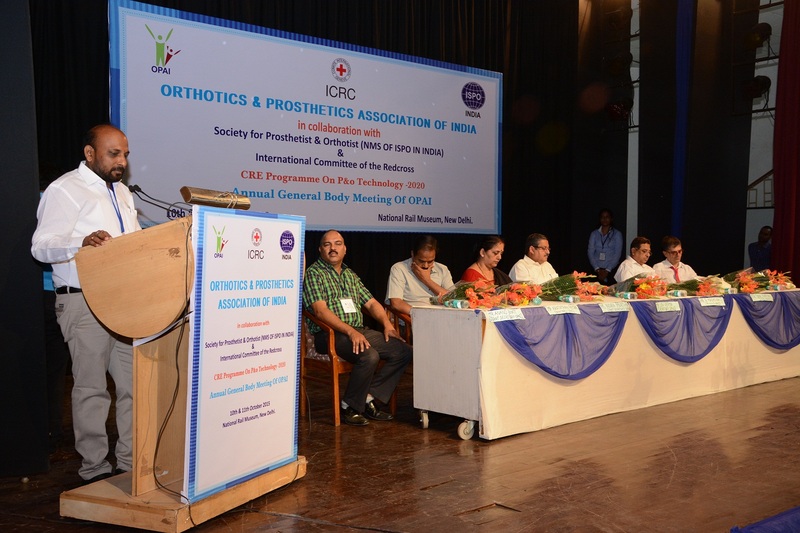 Hence forth Orthotics & Prosthetics Association of India (OPAI) will enroll only qualified diploma or degree or post graduate in Prosthetics & Orthotics. Associate members does not have voting powers. 4.1.3 FELLOW : Fellowship will be given to “Members” who, by professional achievement, integrity, reputation and / or by activities as a Member, has contributed to a great extent for furtherance of the objects of the Association. 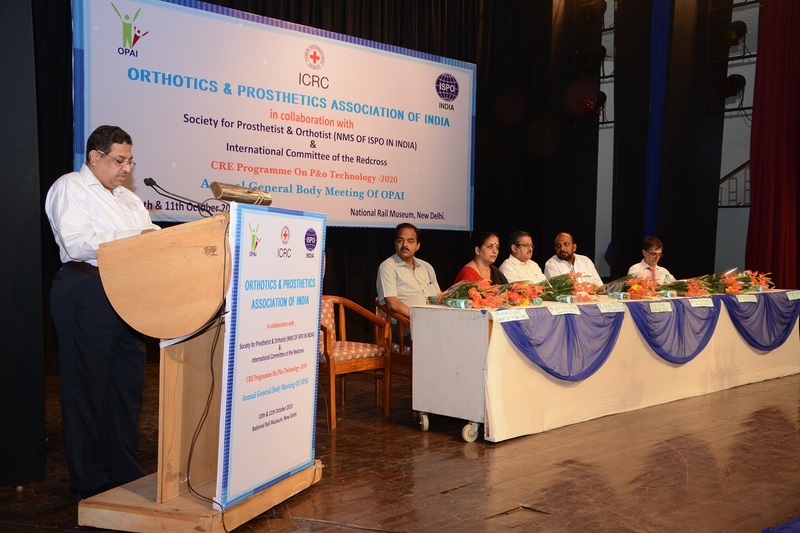 4.1.4 PATRON: All individuals of founder members of Orthotics & Prosthetics Society of India (OPSI) will be treated as “Patron Members”. 4.2.1 APPLICATION TO BECOME “MEMBERS” will be considered by the Membership Committee of OPAI on whose recommendation the person concerned may be made a member. In case any of the applications is rejected, an appeal will lie with the Executive Council whose decision would be final. 4.2.2 Nomination of Fellows and Honorary Fellows be made by the Council on the recommendation of the Membership Committee. Such nomination shall be supported by appropriate citations. 4.3.1 The Membership of any member irrespective of type who fails to meet the requirements of OPAI regarding conduct, payment of dues, holding of Regulations of OPAI etc. may be removed from their Membership by the Membership Committee. An appeal will lie with the Council. 4.3.2 The Executive Council’s decision, both for admission of Members and expulsion of Members, would be final. 4.3.3 Members expelled may make fresh application after a period of three years. 4.4.1 Membership will automatically cease under the circumstances stated below. 4.4.3 In the event of the member becoming insane or of unsound mind. 4.4.4 In the event of his being found guilty of an offense involving moral disrepute by a competent court of law. 4.4.5 If a member resigns voluntarily and his resignation is accepted by a competent authority. 5.1.1 An Entrance fee and Annual Subscriptions , will be levied. The rate will be determined by the council. 5.1.2 Honorary Fellow, Patron members will pay no annual fees. 5.2.1 Members of all classes will be appropriately informed regarding meeting, courses, conferences and other activities of OPAI. 5.2.2 Members of all classes will receive News Letter and other publications of OPAI as determined from time to time by the Council. 5.2.3 Members and patrons only eligible to contest and to vote for election of an appointment to the Council of members. 6.1 Executive authority of the Association will rest with the council. 6.2.1 The office Bearers of the Executive Council will be President, Immediate Part President, Vice President, Honorary Treasurer and Honorary Secretary and Treasurer. 6.2.2 The Office bearers and six Executive Council members, from the Members of the Association. 6.2.3 The Council will hold office for a period of four years. 6.2.4 With the exception of the past President and nominated Executive Council members, all Council members including office bearers will be elected by the General Body by a ballot direct or postal as decided by the Council. 6.2.5 The Council will be opted to make rules for the conduct of election and it would be final. 6.3.3 Approve Annual Budgets to amend, modify and reappropriate the Budget whenever so needed. 6.3.4 To fix the Annual subscription of the Members of the Association. 6.3.5 To lay down the Rules and Business, the service conditions, pay scale and Rules governing all categories of employees of the Association. 6.3.6 To create and abolish posts and make approve, appoint officers and employees of the Association. 6.3.7 To appoint auditors and submit the audited accounts to the General Body. 6.3.8 To enter in to Agreements Financial, Commercial or otherwise of all descriptions and kinds provided they are in furtherance of the objects of the Association. 6.3.9 To build, purchase, lease and / or otherwise acquire under license any property or sell, mortage, hypothecate and / or donate any property of the society and to take such other steps as may be deemed necessary in managing the finances properties, assets and liabilities of the Association. 6.3.10 To open Bank Accounts and to authorize their operation in this regard. 6.3.11 To delegate authority to such person/persons to operate the accounts as may be deemed necessary in accordance with the requirements of the Bank and conveniences of the Association. 6.3.12 To raise loans, to accept gifts/donations, grants in aid, bequest, contributions and subscriptions in any form and to take such other steps as may be considered necessary to raise funds in the interest of the Association. 6.3.13 To delegate such powers as the council may deem necessary to the President, Vice President and other officers of the Association for the prompt and effective implementation of its Executive functions. 6.3.14 To open branches of the Association at other places and make rules for their functioning, control and conduct of activities with prudence, justice, wisdom and also delegate authorities and powers to their office bearers. 6.3.15 To prepare statement of Income and Expenditure of the Association including the branches. 6.3.16 To arrange for the election of the office bearers of the Association. 6.3.17 To submit annual report with audited accounts annually to the General Body. 6.3.18 To do such other acts as may be considered by the council to be in the interest of the Association in furthering its aims. 6.4.1 The President shall be the chief Executive of the Association and will have the following powers. 6.4.2 The President will preside over all the meetings of the Executive Board. 6.4.3 He will supervise the day to day functioning of the Association and give necessary directions for the effective functioning of the Association in all its activities. 6.4.4 He will be competent to sign Agreements, Bonds, Deeds and all other legal documents on behalf of the Association. 6.4.5 He will authorize payments and incur expenditure for items as per approved budget. 6.4.6 He will convene meetings of the Executive Council and other meetings. 6.4.7 He will ensure that regular elections are held for all the elective appointments of the Association. 6.4.8 He would represent the Association on all occasions. 6.4.9 He would perform such other acts as may be delegated by the Council as considered necessary in the interest of the Association. 6.4.10 He may delegate such of his powers to the other office bearers of the Association as deemed appropriate. 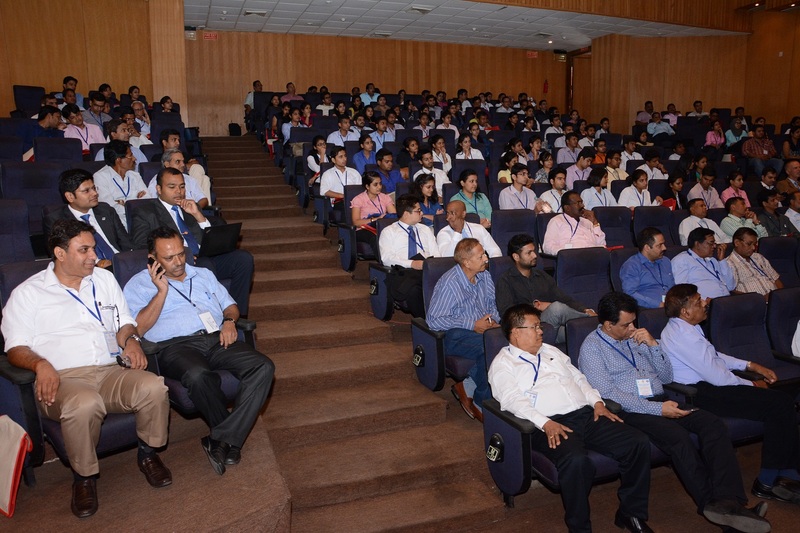 6.5.1 The immediate past President of the Association can advise the President in all matters pertaining to the management of the Association, there by providing a continuity of the functioning of the Association. 6.6.1 The vice President of the Association shall act and perform all duties of the President and shall have the same authority as the President of the Association in his absence. 6.6.2 He shall under the instructions of the President oversee the functioning of such Committees as the President may designate. 6.6.3 He shall also perform such other duties as may be delegated by the President. 6.7.1 The Secretary shall work under the supervision and direction of the President and shall perform all duties entrusted to him from time to time. 6.7.2 He shall keep all the records of the Association including the minutes of the meetings of Council, Annual General Meetings and other Meetings of the Association. 6.7.3 He shall keep the register of members and such of the records as the council may direct him form time to time. 6.7.4 He shall also perform such other duties as may be delegated to him by the President. 6.8.1 He shall receive all monies belonging to the Association. 6.8.3 He shall make payments of monies as authorized by the President. 6.8.4 He shall prepare and submit a monthly income and expenditure. 6.8.5 A quarterly statement of Income and Expenditure will be prepared by him presenting to the Executive Council at their. 6.8.6 He will also make such other repots as may be necessary in connection with the financial position to the Association. 6.8.7 He will also carry out such other duties as the President may delegate to him. 6.9.1 The Executive Council shall generally be called to meet once in every four months. A notice of 14 days will be necessary. 6.9.2 A requisitions for meeting of the council can be made to the President by at least five member of Executive Council giving 20 days notice. 6.9.3 The quorum for the council will be one third of the membership or four whichever is less. 6.9.4 If any meeting is adjourned for want of quorum, the council shall meet on the same day, same time and the same venue the next week and the members present will form the quorum. 6.9.5 Decision at Council Meeting will be by a simple majority of the members present, the Presiding officer having a casting vote. 7.1 Permanent standing Committees for the effective management of the affairs of the Association may be set up by the council. 7.2 The standing committees may included the Finance Committee, resources Committee, Research Committee, Education Committee, Publications Committee and Membership Committee. 7.3 The Council shall appoint the chairman of the standing committee from the Members and Fellows of the Association. 7.4 A standing Committee chairman is limited to serving not more than two successive terms of four years each. 7.5 The members of the Standing Committee shall be appointed by the committee chairman in consultation with the President. 7.6 The members of the standing committee shall serve for a term of four years. Retiring members would be eligible for reappointment for a further terms of four years. 7.7 The chairman will have the power to co-opt members to fill vacancies. Additional members for expert guidance may also co-opted from meeting to meeting, the number of so co-opted being limited to two at a time. 7.9 The Committee chairman shall function under the guidance of the President. 7.10 Each Committee shall meet as needed at the call of the chairman who shall prepare and publish an agenda to the committee members 15 days in advance of the meeting. 7.12 The Council Shall Lay down the composition, guidelines and mode of functioning of all committees. 7.13 The Council will be competent to terminate the chairmanship and / or membership of subcommittees. 8.1 Only members and Patron members will be eligible to attend the General Body Meeting. 8.2.1 A notice of 14 days in writing will be given to the members, at the address quoted by them, of all General Body Meeting. 8.2.2 Every notice of the meeting shall specify the place, Hour of the meeting and shall contain a statement of the business to be transacted there at. 8.3.1 The president of the Association shall preside over the Annual General Body Meeting and other General Meetings. 8.3.2 In the absence of the President, the Vice President shall preside over the meeting. 8.3.3 If for any reason whatsoever the President and vice President both are not present with 30 minutes of the time appointed for holding such meeting then the members present shall elect one of the members present to preside over the meeting. 8.4.1 The quorum for General Body Meeting will be one third of the strength of total no. of members on the register of members of the Association or 10, whichever is less. 8.4.2 If with in thirty minutes from the time appointed for holding a meeting quorum is not present, the meeting shall stand adjourn and fresh notice with a further period of 15days be issued. 8.4.3 For adjourned General Meeting, members present will form the quorum. 8.5.1 The President or the vice president of the Association shall on requisition by 25 members of the Association or one third of the numbers of members on the register of the Association, whichever is higher, forth with process to call a meeting of the General Body. 8.5.2 The requisition for such a meeting shall set out the matter for consideration at the meeting so called and shall be signed by the requisitionists. 8.6 The minutes of the General body meeting of the Association shall be recorded by the Secretary of the Association. 8.7.1 To consider and adopt the Annual Report of the Executive Council on the working of the Association. 8.7.2 To consider and adopt the audited statements to accounts pertaining to the Income and expenditure of the Association and the Balance sheet. 8.7.3 To appoint Auditors and fix their remuneration. 8.7.4 To consider any other matters that the President permits. 8.7.5 The General body decision will be by a simple majority the president having a casting vote in case of tie. 9.1 The funds of the Association shall be derived from fees, dues assessments, gifts, contracts, grants, publications, sales, reimbursement of costs incurred providing special services to other organizations, loans, donations, grants-in-aid, contributions from individuals, corporate bodies state Govt., and Central Government. 9.2 The Financial year of the Association shall be from 1st April of the year to 31st march of the next year. 10.1 The audited Income and Expenditure Statement shall be placed by the Treasurer before the Executive Council on whose approval it will form part of the business of the AGM. 11.1 The properties of the Association shall be recorded in the name of the Association. The Secretary shall receive properties free from all kinds of encumbrances. 11.2.1 Any proposal about the transfer of property to outside agencies shall have the approval of the General Body. 12.1 Any suit by or against the Association shall be filed in the name of Honorary Secretary. 12.2 The competent court of jurisdiction for all suits will be the one situated at the location of the Registered office of the Association. 13.1 The council will be competent to amend these Rules and Regulations of the Association. All amendments so carried out will be subsequently put up to the General Body for their approval of such amendments void. The founder members who have subscribed to the Memorandum will automatically be deemed to have become Fellows of the Association.